Former Greek finance minister Yanis Varoufakis’ Diem25 pan-European political movement may seek to enter the European Parliament, as part of a broader effort to overhaul what it calls ‘the deep establishment’. The former Greek finance minister, and one of Diem 25‘s founders, has said the movement will decide in October whether to contest the EU elections in 2019. “The European Parliament election might be a focal point for us even though we believe that Europe does not have a parliament,” he told EUobserver in an interview in Brussels. Speaking ahead of Diem25’s meeting on the launch of its vision for a new federal Europe, Varoufakis derided the EU assembly. “It is the only parliament in human history that cannot initiate legislation,” he said, adding that he had no intention of himself trying to become an MEP in 2019. “We believe in reluctant politicians. If they [Diem25 candidates] choose to hold office, they do so as a chore, as something they don’t want to do, but something that is a dirty job and somebody has to do it,” he said. 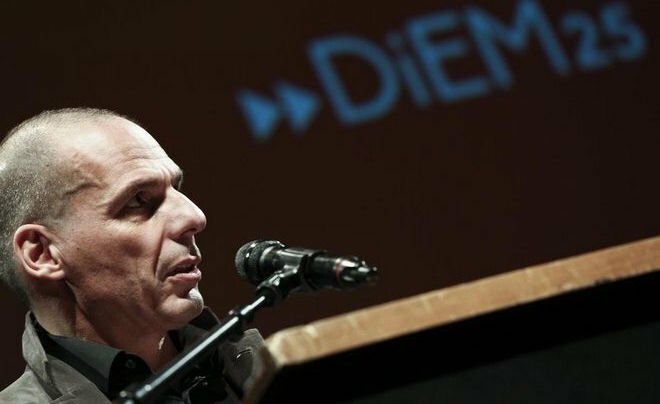 Varoufakis said Diem25 was a pro-European but radical group that aimed to imperil the jobs of the EU establishment in Brussels and elsewhere. Launched some 18 months ago in Berlin, Diem25 seeks, among other things, full transparency of decision-making at the EU level, the dismantling of corporate power in politics, and a more powerful EU parliament.